2015 Ford Flex For Sale In Vernon, Kelowna, Okanagan, BC. 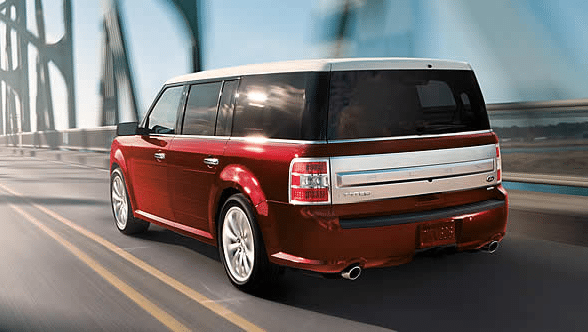 In a world of copies, the 2015 Ford Flex stands out as unique. Distinct styling and features create a vehicle that offers the function you need with a look that is modern and one-of-a-kind. Three trim levels give you more options: SE, SEL and Limited. Clean lines create a crisp look for the 2015 Ford Flex. The design begins with a unique shape and simple style. A sculpted front end features a narrow grille and big lettering for the Flex logo on the hood. Halogen headlamps light up the dark and integrate seamlessly with the grille for a cohesive look. Enjoy the multi-panel Vista Roof® as an option on the SEL and Limited trim levels. A monotone roof is standard, but you can switch things up with a two-tone roof. Add roof rack side rails to increase your storage capacity. Ten body colour options allow you to own a vehicle that is a reflection of your personality. Seating for seven and ample leg and headroom ensures that the 2015 Ford Flex is practical as a family vehicle. Besides carrying passengers, you can also haul more stuff with the available PowerFold® third row seat that makes it easy to convert from seating to storage with just a flip of a button. Premium comfort can be yours with the heated seats on the SEL or ventilated seats on the Limited. Convenience is key to enjoying long trips and it is easily seen with features such as the available refrigerated console for the second row, reading lamps for second and third row and power windows and locks. 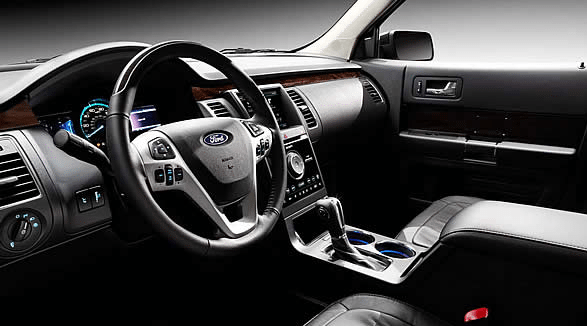 SYNC® with MyFord® is standard on the SE while MyFord Touch® is what you can expect on the other models. Enjoy your favourite music with the Sony® audio system on the Limited and SiriusXM® satellite radio that is standard on the SEL and Limited and optional on the SE. Independent front and rear suspensions provide smooth handling while all-wheel drive enhances your capability in any weather conditions. The all-wheel drive is optional on the SEL and standard on the Limited. Enjoy optimal power with the 3.5L engine or upgrade to the 3.5L EcoBoost® engine on the Limited. Both engines are paired with the six-speed SelectShift® automatic transmission. The 2015 Ford Flex has the power you need at an affordable price. Peace of mind can be yours when you drive the 2015 Ford Flex that is loaded with the latest safety innovations. Drive with confidence when you have the Ford warranty for the 2015 Ford Flex. Some conditions apply. See Watkin Motors Ford for full details in Vernon, British Columbia, Canada. 2015 Ford Flex for sale in Vernon, Kelowna, Okanagan Valley, B.C. 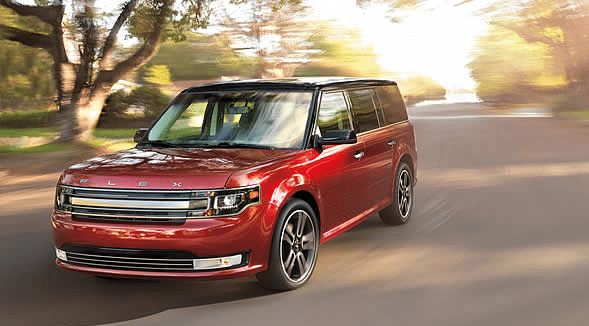 The 2015 Ford Flex offers unique styling and spaciousness to be the versatile vehicle you need. This SUV provides plenty of space for passengers or cargo and offers optimal performance combined with efficiency. Take a look at the 2015 Ford Flex at your local Okanagan Ford Dealer – Watkin Motors Ford. Check out the available options in SUVs or test drive one of the sedans or coupes. No matter what you are looking for, you are sure to find it at Watkin Motors Ford.